I have been using the PWRcheck analyser for a couple of months now and decided to share my views regarding the findings. 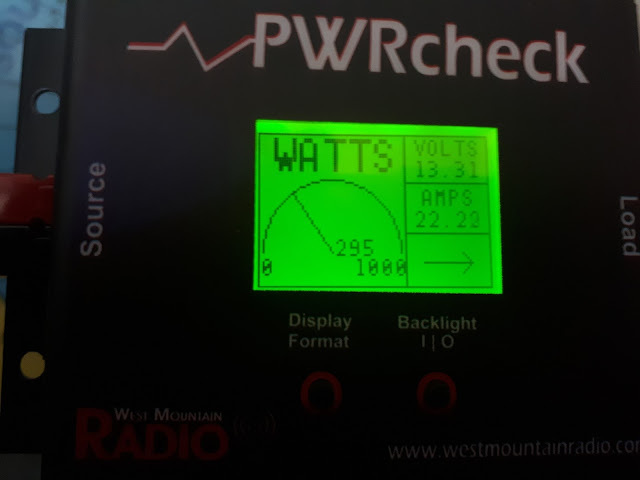 The device is manufactured by West Mountain Radio and is constructed well in a cool case that's nice and neat with simple enough connections and controls. The device is definitely a handy tool that can be used in the shack, portable or mobile with any radio as well as other uses. For example, I measured how much power my motorcycle batteries held and how long my van battery would power my FT-857 whilst camping. 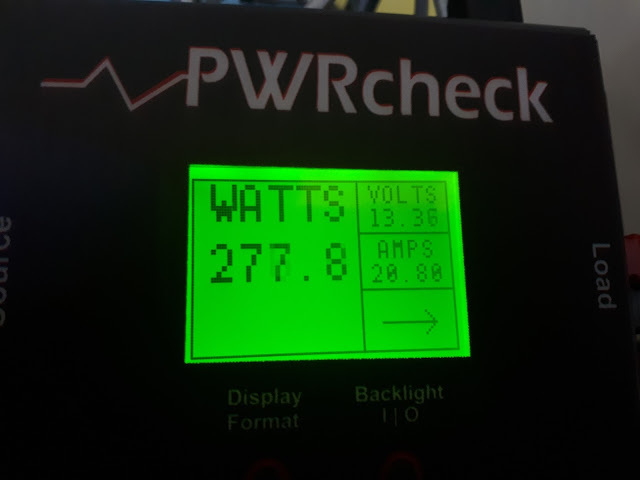 The feature I like the best is the wattage reading which has been very useful. I have a cheaper type of HF amplifier made by RM. 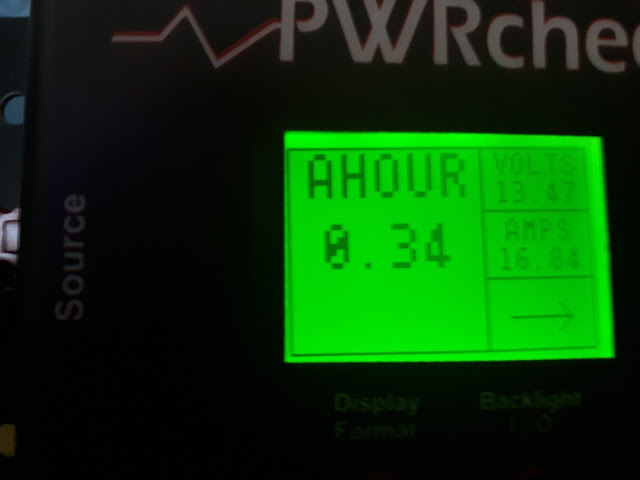 The PWRcheck allows me to monitor the power output of the amp and hopefully avoid blowing outputs. The digital display can be navigated through easily enough using the front panel mounted switches. It also has backlit on or off option to keep any portable battery drain to a minimum. 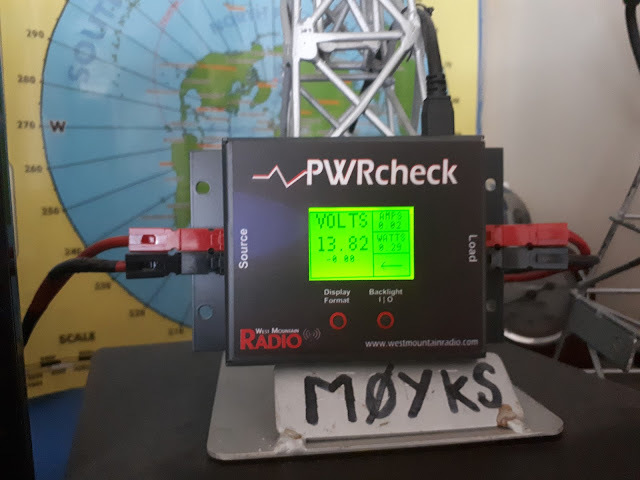 I tend to use the PWRcheck in the shack the most as pictured in this post and have found it to be a useful add-on to my everyday radio operations, unlike some of the other superb kit that we hams sometimes buy and never really use it very often. This device is permanently in line and powered up, in use every time I am on the air and I seriously like it a lot! 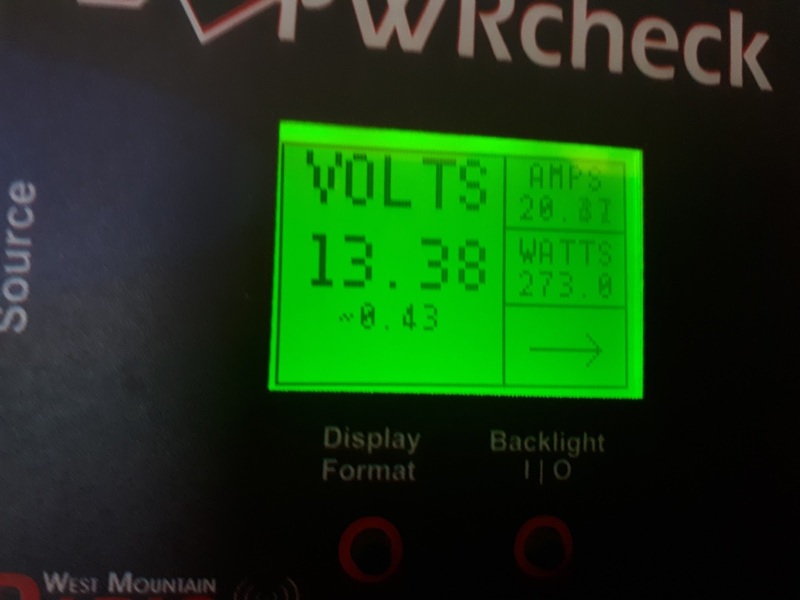 The PWRcheck comes with the software for the pc and usb connectivity which basically mirrors the data that is displayed on the built in screen of the unit. I have used the software but don't need it for general operating. The software would be beneficial to a rig doctor to monitor any fluctuation in any readings during testing/tech work. For myself and most amateurs the unit does everything I could hope to do and more. If you like the sound of it and are considering getting one I would say that you won't be disappointed. Thanks for taking time to read the review and catch mine working as I make some qso in a not to distant video that I shall be on with shortly. 73 have a good weekend.